Jai. C. Salt is a Healer and Teacher with over 20 years experience in Yoga Therapy and Holistic Energy Healing, whose work is both unique and surprising. He is the Co-Director of Swara Yoga School, Energy Medicine Retreat facilitator, a Master-Teacher of japanese Zen Shiatsu, and is a Qualified Practitioner of Kinesiology, an Holistic Nutritionist, and has studied Connective and Remedial Massages in both Swedish and Thai styles. With 20 Years Clinic experience he has also been treating people with all levels of health issues, using other vibrational and movement based modalities as Holotropic Breathwork, Toyohari Accupuncture, Shamanic Healing, Qi Gong, Reiki. 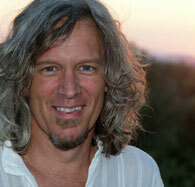 He is an Australian Qualified Natural Therapist and Holistic Counsellor. To read about the success of the Elemental Yoga Therapy programs, please visit the Testimonials page to hear from some of the many past students.